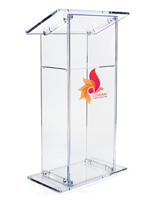 What better way to make a professional presenting environment than with this plastic lectern with multi-color imprint. 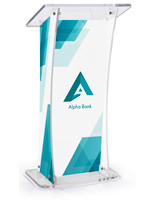 Create a distinctive custom logo that can be printed onto the frosted acrylic podium with any 2 available pantones of your choice. 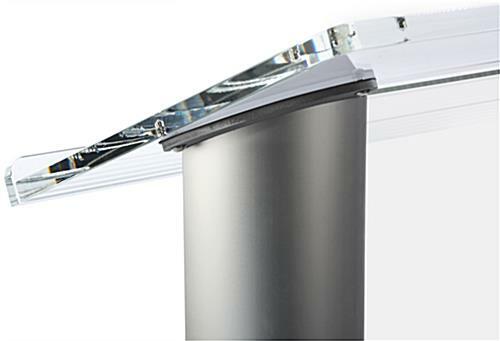 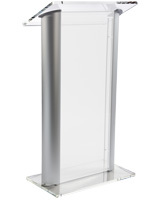 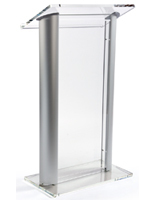 The aluminum accented lectern has a modern design that looks great alone or within any speaking atmosphere. 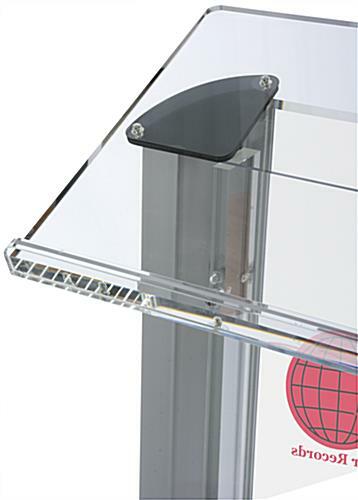 Place books, notes, or a laptop on the large reading surface and still have room to spare. 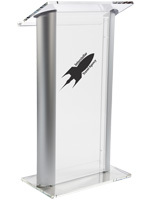 Podiums are often found in use at universities, offices, and other professional settings and this fixture coordinates well. 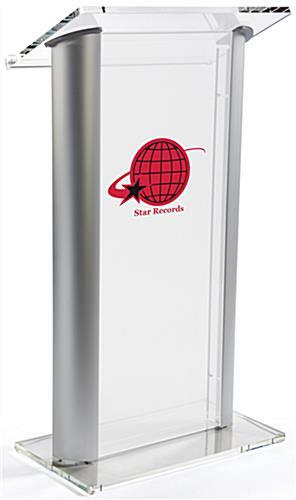 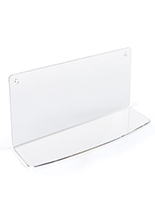 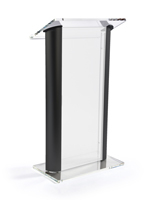 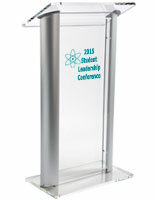 Get this lectern, complete with acrylic body and custom logo for your business today!